Formerly (and formally) known as the Delco Electronics Corporation, it was the automotive electronics design and manufacturing subsidiary of General Motors based in Kokomo, Indiana. The name Delco came from the Dayton Engineering Laboratories Co., founded in Dayton, Ohio by Charles Kettering and Edward A. Deeds in 1909. The “AC” often seen in front of the name are the initials of Albert Champion, a pioneer in the development of the spark plug. He made the change during his tenure at General Motors, after they took over Delco. 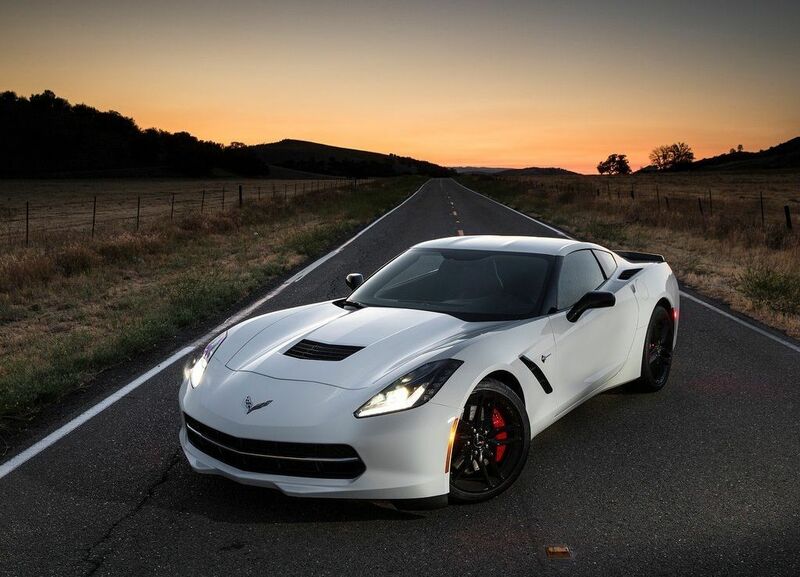 Active Fuel Management was introduced in the 2014 C7 Corvette to increase the MPG (miles per gallon) of the car by improving fuel efficiency. 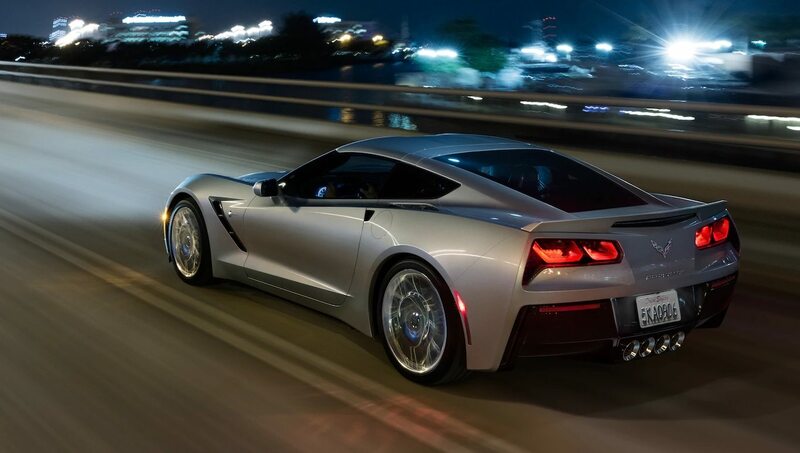 In normal mode, the 2014 Corvette LT1 engine uses V-8 power during acceleration and V-4 power when coasting; in Eco mode the engine remains in V-4 mode to improve fuel economy until aggressive acceleration is needed. Corvsport Page References: C7 Overview. 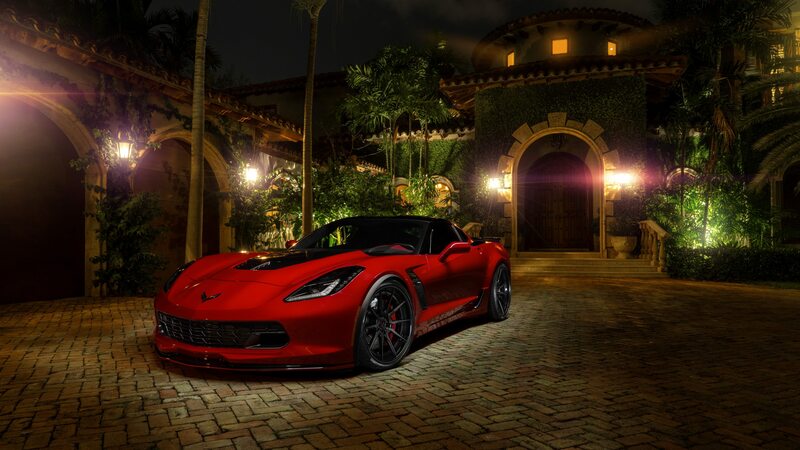 Active Rev Matching was introduced in the 2014 C7 Corvette. 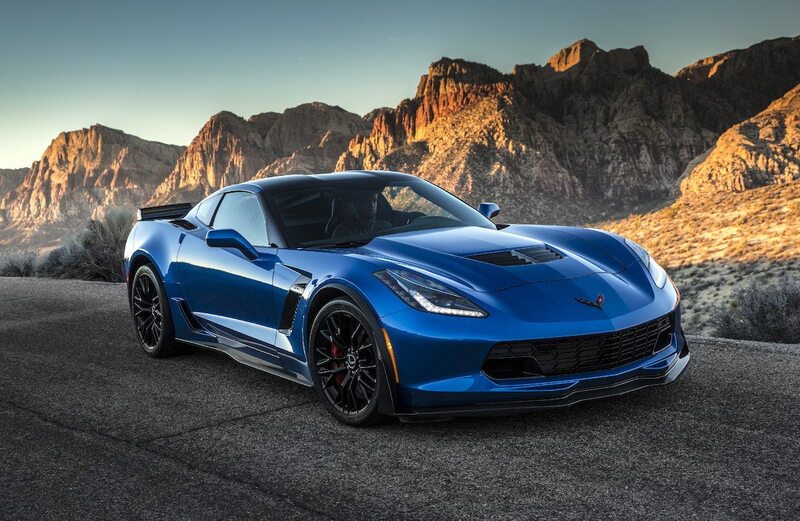 In conjunction with the seven-speed manual transmission it anticipates the next gear selection and electronically ‘blips’ the throttle to match engine speed for a seamless gear change.Corvsport Page References: C7 Overview. The 1969 Aero Coupe started life as a stock 1968 350 Corvette. It was modified by Bill Mitchell to a show car and used to preview the 1970 1/2 styling changes. The changes he made included a taller windshield, a lift-off one-piece roof, large side exhaust; spoilers, front and rear, cast alloy wheels and cross hatch grille and side vents. The car was painted bright red and at certain times, Mitchell used it the Aero Coupe as his personal ride. A short time later, in 1970, the Aero Coupe was reworked and renamed Scirocco. It received the slim, Manta Ray-style side pipe covers, got a new paint job with the front bumper-grille assembly painted body color, the mirrors were moved up the door pillars and the roof panel was given a rear view periscope. It had a ZL-1 all aluminum 427 C.I.D. engine coupled to a prototype 4-speed automatic transmission. For the next 4 years the car worked as the pace car at the Can-Am races. In 1974, the car was restyled again and was renamed Mulsanne. Painted bright metallic silver, the Chevrolet Corvette Mulsanne wore 1975 style front and rear bumper covers. The pop-up headlights were replaced with 4 rectangular lamps under body-fitting clear plastic covers. The hood had a raised center section with recessed, functional scoops on both sides. The interior was completely trimmed in leather with fixed seats and adjustable pedals and steering wheel. Chaparral style lace aluminum wheels were used. A concept car created by the Chevrolet division of General Motors, beginning life as Experimental Project 882 (XP-882). It has a mid-engine configuration using a transverse mounting of its V-8 engine. Zora Arkus- Duntov’s engineers originally built two XP-882s during 1969, but John DeLorean, Chevrolet’s general manager, canceled the program because it was impractical and costly. However, when Ford announced plans to sell the DeTomaso Pantera through Lincoln-Mercury dealers, DeLorean ordered one XP-882 cleaned up for display at the 1970 New York Auto Show. In 1972, DeLorean authorized further work on the XP-882 chassis and gave it a new project code, XP-895. A near-identical body in aluminum alloy that resembled the XP-895 was constructed, and became the “Reynolds Aluminum Car.” Two of the Chevrolet Vega 2-rotor engines were joined together as a 4-rotor, 420 horsepower (310 kW) engine, which was used to power XP-895. The XP-895 was first shown in late 1973. 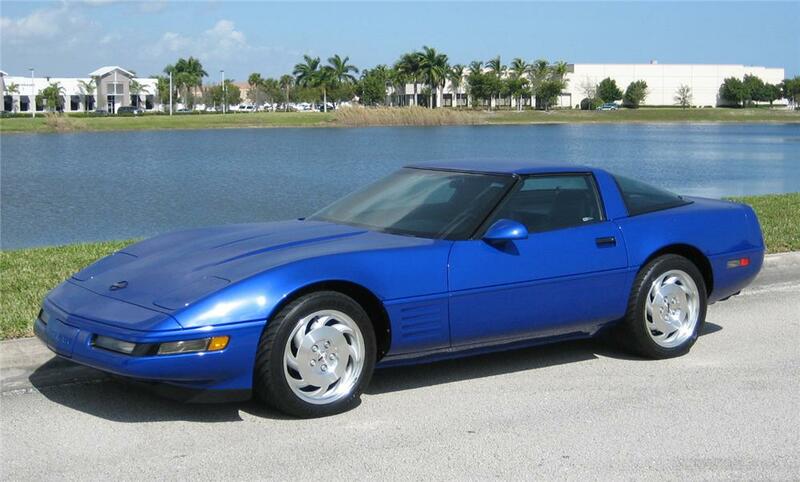 Another Corvette concept, XP-897GT, also appeared in 1973, which used a 2-rotor engine. However, with the energy crisis of the time, GM scrapped its rotary development work and all plans for a Wankel-powered car. 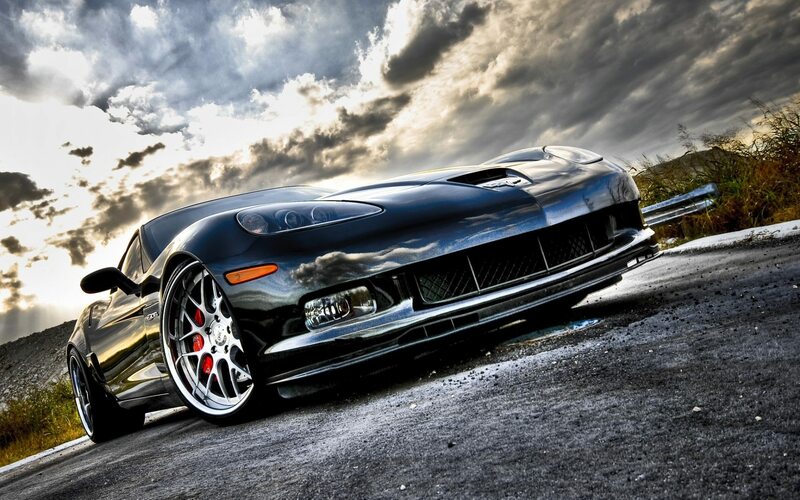 The XP-897GT 2-rotor Concept was sold to Tom Falconer and fitted with a Mazda 13B rotary engine in 1997. A vehicle safety device. It is an occupant restraint consisting of a flexible envelope designed to inflate rapidly during an automobile collision, to prevent occupants from striking interior objects such as the steering wheel or a window. Modern vehicles may contain multiple airbags in various side and frontal locations of the passenger seating positions, and sensors may deploy one or more airbags in an impact zone at variable rates based on the type and severity of impact; the airbag is designed to only inflate in moderate to severe frontal crashes. Airbags are normally designed with the intention of supplementing the protection of an occupant who is correctly restrained with a seatbelt. Most designs are inflated through pyrotechnic means and can only be operated once. Airbag content courtesy of Wikipedia. A concept car designed by the Naugatuck Chemical Division of the U.S. Rubber Company in the early 1950’s that inspired Harley Earl’s decision to utilize a plastic/resin material for the fabrication of the Corvette’s body. The Alembic 1, formerly known as the Brooks Boxer, is actually a fiberglass-bodied Jeep. The Alembic 1 was first shown at the National Plastics Exposition in Philadelphia, Pennsylvania on March 11, 1952. 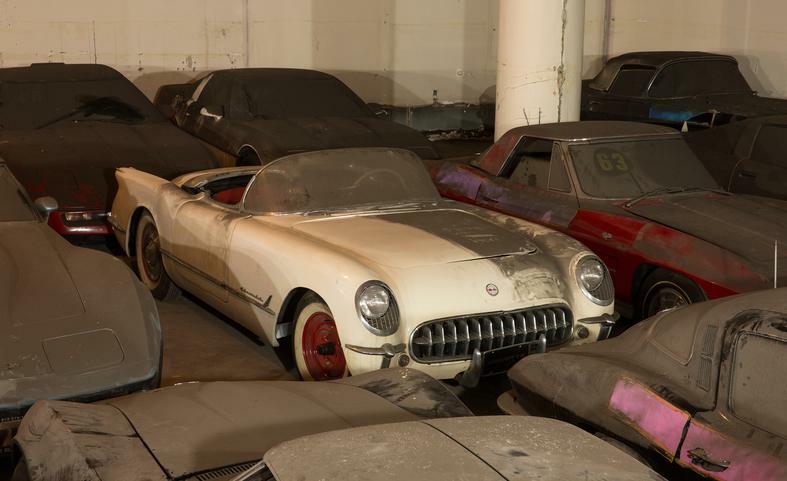 Later that month, it would be transported to General Motors in Detroit, Michigan where Chevrolet engineers would begin studying the use of fiberglass in automobile body construction. Harley Earl was so impressed with this vehicle, and the application of using glass-reinforced plastic for automotive construction, that he actually accelerated his own work on the Corvette. Corvsport Page References: C1 Overview. The American Le Mans Series presented by Tequila Patrón (ALMS) was a sports car racing series based in the United States and Canada. It consisted of a series of endurance and sprint races, and was created in the spirit of the 24 Hours of Le Mans. The American Le Mans’ headquarters was in Braselton, Georgia, adjacent to Road Atlanta. In 2014, the series merged with the Grand-Am Rolex Sports Car Series to form the United SportsCar Championship. The partnership with the ACO allowed ALMS teams to earn automatic entries in the Le Mans 24 Hours. This was a practice that began with the inaugural Petit Le Mans, a practice that continues today, where 1st and 2nd place teams in each class earn entries to the next year’s 24 Hours. The ALMS race at Adelaide in 2000 also received automatic entries. Invitations were extended to the series champions beginning in 2003, for the 2004 race. The ACO has always given high consideration to teams competing in ALMS races, and many ALMS teams have seen success in the 24 Hours. The series began with eight races in 1999, beginning with the 12 Hours of Sebring, and ending at Las Vegas Motor Speedway. The schedule expanded to 12 races in 2000, including two races in Europe, and one in Australia. In subsequent years, the European races disappeared, with the creation of the short-lived European Le Mans Series, and later the Le Mans Series. The series also began to move away from the rovals, road courses in the infield of large superspeedways, at Charlotte Motor Speedway, Las Vegas, and Texas Motor Speedway. Lately, the series has visited more temporary street courses, many in conjunction with the Indy Racing League, at cities such as St. Petersburg, Florida and Long Beach, California. The series has raced at Mazda Raceway Laguna Seca, Mosport, Road Atlanta and Sebring in every year of its existence. Since 2011, Labor Day weekend, they’ve visited Baltimore, Maryland for a street circuit race. The series was the first motorsport racing series in North America to be recognized by the United States Environmental Protection Agency (the EPA), the United States Department of Energy and the Society of Automotive Engineers (SAE International) as a “Green Racing Series”, and is planned to hold an all-new series implemented on series races dedicated to the environment by holding their first-ever Green Challenge during the 2008 Petit Le Mans and would continue at least up to the entire 2009 season. In 2010 the American Le Mans Series signed its first title sponsorship agreement, with Tequila Patrón becoming a presenting sponsor for three seasons. On September 5, 2012, the series announced that they would fully merge in 2014 with Grand-Am Road Racing under the banner of the TUDOR United SportsCar Championship, with the International Motor Sports Association. A safety system that prevents the wheels on a motor vehicle from locking up (or ceasing to rotate) while braking. A typical ABS is composed of a central electronic control unit (ECU), four wheel speed sensors — one for each wheel — and two or more hydraulic valves within the brake hydraulics. The ECU constantly monitors the rotational speed of each wheel, and when it detects a wheel rotating significantly slower than the others — a condition indicative of impending wheel lock — it actuates the valves to reduce hydraulic pressure to the brake at the affected wheel, thus reducing the braking force on that wheel. The wheel then turns faster; when the ECU detects it is turning significantly faster than the others, brake hydraulic pressure to the wheel is increased so the braking force is reapplied and the wheel slows. This process is repeated continuously, and can be detected by the driver via brake pedal pulsation. Some anti-lock system can apply and release braking pressure 16 times per second. ABS content courtesy of Wikipedia. Zora was born Zachary Arkus in Belgium on Christmas Day, 1909. His father was a Russian-born Jewish mining engineer, and his mother, also Russian Jewish, was a medical student in Brussels. After she completed her schooling, the family returned to their hometown of Leningrad, at which point Zora’s parents divorced. His mother’s new partner, Josef Duntov, another mining engineer, had moved into the household. Even after the divorce, Zora’s father continued to live with the family, and out of respect for both men, Zora and brother Yura took on the last name of Arkus-Duntov. Zora joined General Motors in 1953 after seeing the Motorama Corvette on display in New York. Perhaps it was just fate that Zora happened to be among the thousands of people who attended the GM event. Zora found the car to be visually superb, but was disappointed with what was underneath. He wrote Chevrolet chief engineer Ed Cole that it would be his complement to work on such a beautiful car, he also included a technical paper which proposed an analytical method of determining a car’s top speed. Chevrolet was so impressed that engineer Maurice Olley invited him to come to Detroit. On May 1, 1953, Zora Arkus-Duntov started at Chevrolet as an assistant staff engineer. Shortly after going to work for Chevrolet, Zora set the tone for what he was about to accomplish in a memo to his bosses. 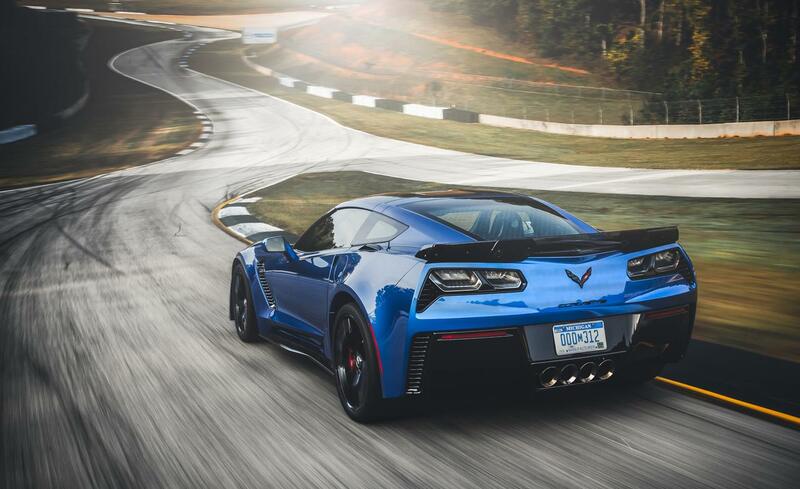 The document, entitled, “Thoughts Pertaining to Youth, Hot Rodders and Chevrolet”, laid the foundation for the strategy that Chevrolet has used ever since to create one of the most successful performance parts programs in the industry. 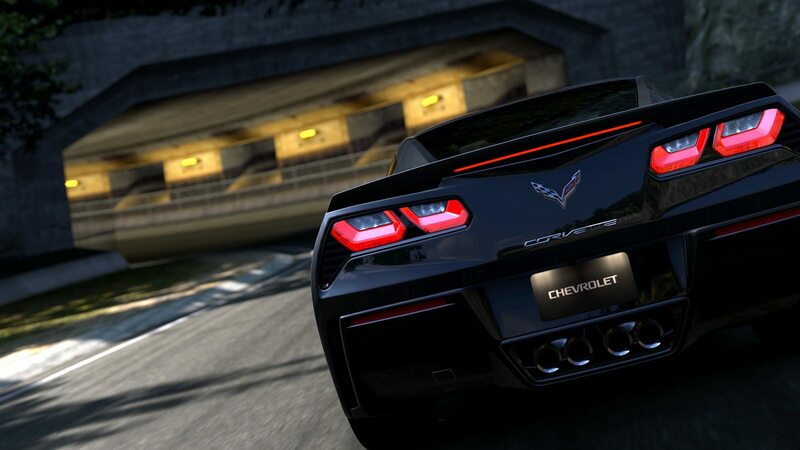 Chevrolet quickly became one of the most successful manufacturers ever in the history of motor racing. Soon, Zora became director of high performance at Chevrolet and helped to transform GM’s largest division from a conservative company into a youthful, exciting one. In the process, he would change the Corvette from a docile roadster into a formidable sports car that challenged Porsche, Ferrari, Maserati, and Mercedes-Benz. As was his way, Zora led by example. After helping to introduce the small-block V8 engine to the Corvette in 1955, providing the car with the much needed power, he set about showcasing the engine by ascending Pikes Peak in 1956 in a pre-production prototype Chevy, setting a stock car record. Not satisfied, he took a Corvette to Daytona Beach the same year and hit a record setting 150 mph over the flying mile. In his spare time, the brilliant and vocal GM driver/engineer also developed the famous Duntov high-lift camshaft and helped bring fuel injection to the Corvette in 1957. In 1963, Zora launched the Grand Sport program. 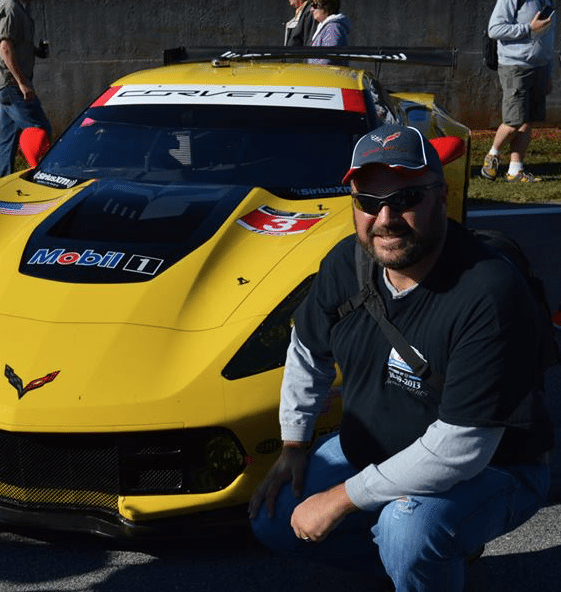 The original idea captured the interest and imagination of Corvette fans all over the world. The idea was to create a special lightweight Corvette weighing only 1,800 pounds and race it on an international circuit against not only Cobras and other GT-Class cars, but also racing only prototypes from Ferrari, Ford and Porsche. Power for the Grand Sport was to come from an aluminum version of the small block V8, equipped with special twin spark plug cylinder heads. At 377ci, output was a projected 550 hp at 6,400 rpm. But as it had so often, GM policy prohibited Zora from going racing, but not before five Grand Sports were built. The five Grand Sports eventually fell into the hands of private owners, and Zora was able to support them in spite of the official ban. Zora retired in 1975, relinquishing command to Dave McLellan. At 81 years of age, Zora Arkus-Duntov was still passionate and opinionated about the Corvette. During the time between Zora’s retirement and death his legend grew. Whenever anything Corvette happened, Zora was there. 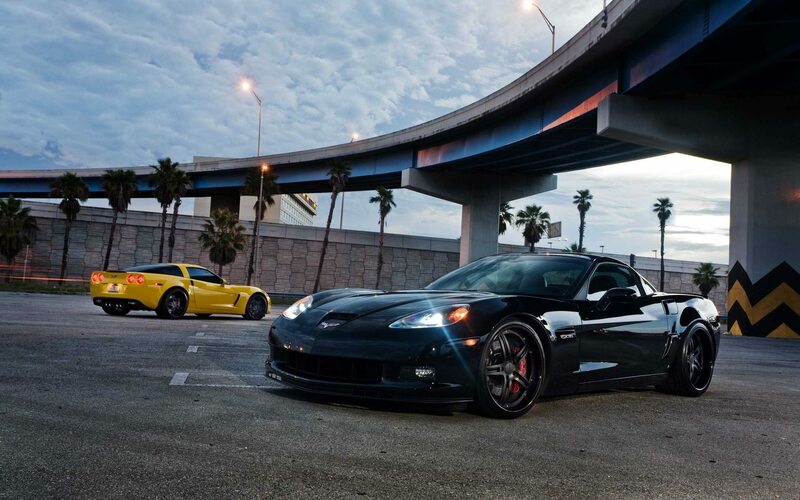 A member of the Drag Racing Hall of Fame, the Chevrolet Legends of Performance, and the Automotive Hall of Fame, Zora took part in the rollout of the 1 Millionth Corvette at Bowling Green in 1992. He also drove the bulldozer at the ground breaking ceremonies for the National Corvette Museum on June 5, 1992. Six weeks before his death, Zora was guest speaker at “Corvette: A Celebration of an American Dream”, an evening held at the showrooms of Jack Cauley Chevrolet Detroit. On hand that night were Dave McLellan and his successor as Corvette chief engineer, Dave Hill, but no one could argue that Zora stole the show. Zora Arkus-Duntov biographical content courtesy of Wikipedia. 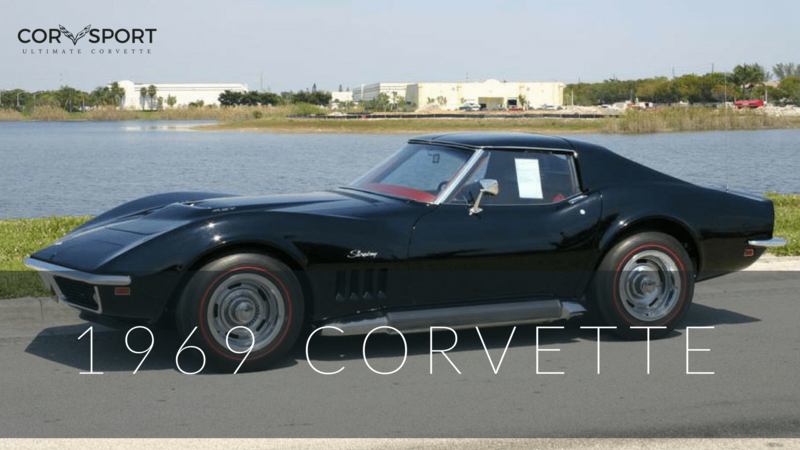 Corvsport Page References: 1955 Overview, 1956 Overview, 1957 Overview, 1958 Overview, 1959 Overview, 1960 Overview, 1961 Overview, 1962 Overview, C2 Corvette Overview. The Astro-Ventilation System is designed to provide ventilation air throughout a normally closed automotive cockpit/interior. Normally this air would have been supplied by the front door vent windows, as was the style in older cars. However since the innovation of the one-piece front door window, another source was developed. Upper level ventilation is provided by air inlets on either side of the cowl plenum. A distributor duct extends from the inlet to the instrument panel where air is directed by spherical outlets. These outlets can be rotated to provide soft diffused air of spot cooling. Air shut-off doors are located in the ducts and are operated by push pull knobs located beside the outlets. Air is vented through a vacuum operated door. This door is located behind the rear window and is open when the temperature control is on “off”; at any other position, the door will be closed. Corvsport Page References: 1968 Overview, 1969 Overview, 1970 Overview.